Since the 17th century, the vineyard is said to belong to the Bages domain. At the end of the 18th century, it was sold to the Croizet brothers, who then gave it its name : Croizet-Bages. 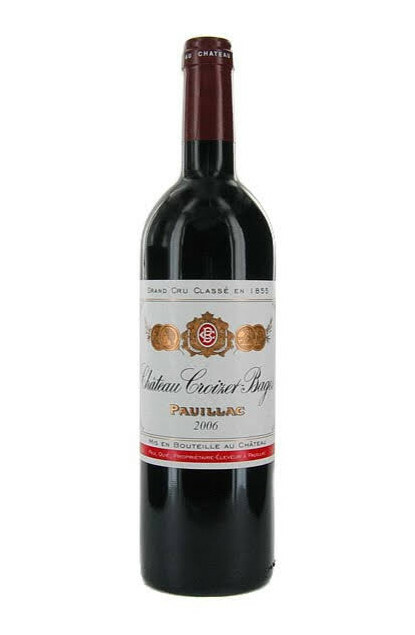 This wine is a fifth Grand Cru classified Pauillac from the 1855 prestigious list. Its surface area amounts to 30 hectares of deep gravels and production amounts to 380 barrels per year depending on the year, that is to say 187.000 bottles. Grape varieties : Cabernet sauvignon 54%, Merlot Noir : 38% and cabernet Franc : 8%. The wine is matured entirely in barrels, of which 20% in new barrels, for 12 to 18 months.